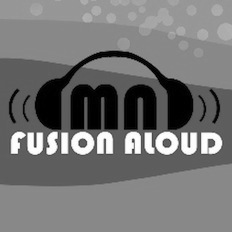 Karnatriix, guitarist John Anthony’s vision - <;o) - are the pioneers of ‘new wave of contemporary Indian fusion music ’. Their ever-evolving sound was always ahead of its time in its universal appeal, and today registers as ideally in sync with the 21st century’s pan-cultural landscape. The name 'Karnatriix' which is a word play, meaning 'Trickery with Carnatic music’, openly defines their music. Mellifluous melodies and sophisticated phrases deep-rooted in Blues music with an Indian Classical touch, combined with raw percussion and electronically produced subtle beats, voices and effects, form the core essence of the band’s musical nature. Delivered with a level of passion and soul equal to the legendary sonic charge of guitar blended with the rhythms of ancient Indian classical music with the flavors of Jazz and new age electronica, the sound of Karnatriix is one of India's best-known musical signatures. Groovy guitar melodies combined with the haunting resonance of Indian Classical Instruments, Hindustani vocals and other percussion instruments and layered with electronically produced subtle beats, voices and effects, form the core essence of the band’s musical nature. Karnatriix, completed a successful five city tour of Germany playing 7 gigs covering - Berlin - Deuren - Syker - Chemnitz & Erfurt in June this Year. There are also scheduled to tour Russia and Sri Lanka in August 2012. In Russia, Karnatriix is playing the most prestigious concert on Indian Independence Day Celebrations representing Indian Government as Cultural ambassadors of India. In 2010 the band toured Dubai and again traveled to China for the Hangzhou World Music Festival. In 2008, Karnatriix toured in Dubai and to China for ‘Live at Shanghai Centre’; at the Shanghai Spring International Music Festival and a performance at Hangzhou Jazz Club. 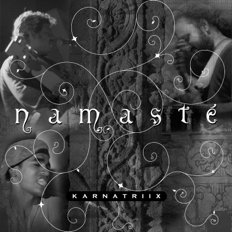 Apart from this Karnatrix also collaborated and played as a ensemble featuring various reputed guest artists from all over the world. Darbuka Shiva on Percussion, Muthukumar on Tabala, Carola Grey on the drums, Oliver Fox playing the saxophone and flute and the young bass guitar virtuoso Naveen Kumar are few of the artists Karnatriix collaborated with.